An overhaul of Xbox Live includes a brand new matchmaking system, and a new generation of achievements. Xbox 360's matchmaking system, TrueSkill, used "skill level" as its only algorithm to match Xbox live gamers against each other. "Smart Match" is the Xbox One's Completely reengineered matchmaking system, that uses advanced algorithms to pair players based on skill, language, and now reputation. The matchmaking by reputation is probably the most significant change, as it will now try to match you with players who you actually enjoyed playing with in the past. Furthermore, you no longer have to wait in lobbies while a match is found. Players can play a game, watch TV, or listen to music while the matchmaking system works in the background. Microsoft also claims that thanks to "the power of the cloud your favorite matches are always running behind the scenes, so you can quickly find the people you like to play with most." The wording on this statement is a bit iffy, but it sounds as if Xbox One games will be constantly performing matchmaking no matter what you are doing, so when you actually want to go ahead and play multi-player, it will have some matches already lined up for you. Also revealed was the new achievement system for Xbox One. Microsoft is largely credited with making gaming "cheevos" a standard feature that pretty much accompany games on every platform these days. 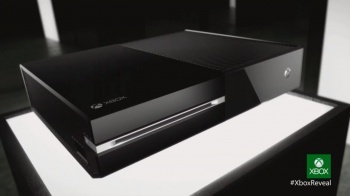 Its now looking to revamp the system for its new console. "Xbox One's all new achievements system has richer detail and spans across your games and experiences, which means achievements are no longer confined to a single game," said Microsoft. New achievements can now be added to games dynamically at any time, whereas previously only the addition of DLC packs could increase the achievement count. Achievements will also detail not only when players achieved them, but how they achieved them.